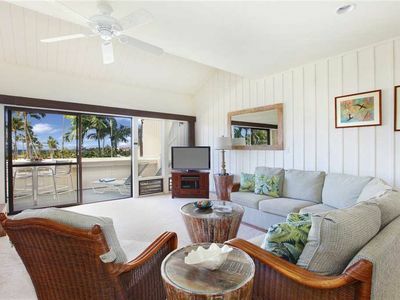 Spacious 1750sq ft,2 king beds,2+ baths,beautifully furnished. 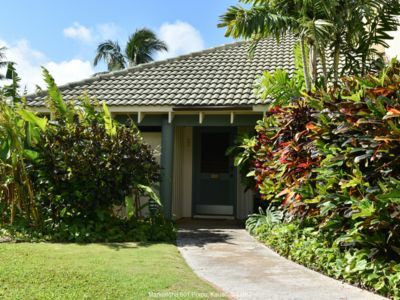 Located among the lush acreage of the Poipu Kai Resort and within a 3 minute walk of Brenneke's Beach and another few minutes along the ocean to Poipu Beach Park our spacious 1750 sq. 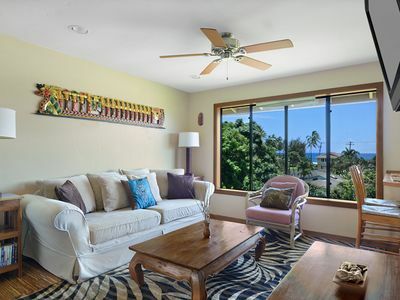 ft. townhouse offers sweeping distant views of the ocean and mountains. 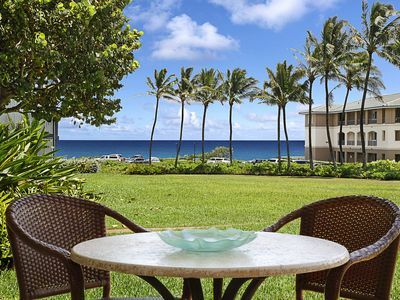 The ocean view pool and the 9 state-of-the-art tennis courts are literally 2 minutes away. The ground floor entry is right next to the covered parking for easy access. 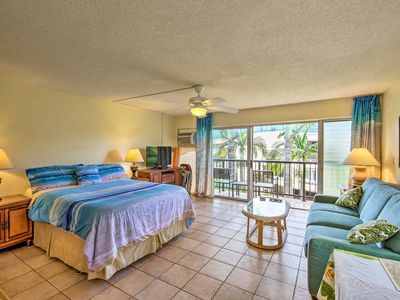 Upon entering you'll find 2 king bedrooms,2 full bathrooms and washer/dryer equipment . Each bedroom has a flat screen TV . 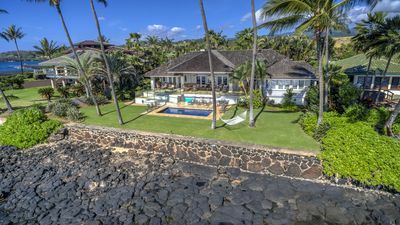 There is a ground floor lanai with comfortable furniture that faces a huge grassy lawn suitable for tossing a Frisbee or playing catch and a nearby gas bar-b-que with a picnic table. 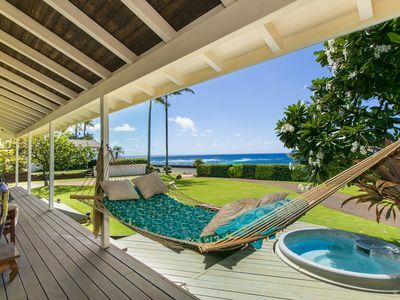 The downstairs hall closet has lots of useful island equipment: boogie boards,beach chairs, umbrella, sand toys, some snorkel gear and pool toys. 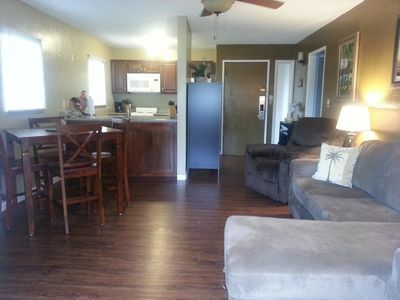 The upstairs has a spacious, bright living room with a large dining table and bar seating that faces the kitchen. There is a sofa bed, and 3 window seats for napping. 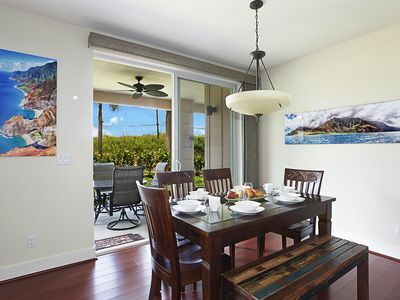 The kitchen is fully equipped with all the appliances, dishes and cooking utensils you would find in your home including beach coolers.The upstairs also has a half bath and a lanai with a bar height table and chairs for enjoying the lovely view. 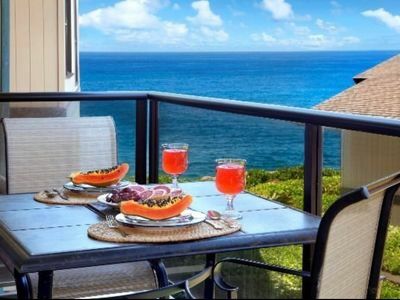 The sunsets from the upper lanai are particularly wonderful. The living room has a large flat screen Smart TV, and there is a game cabinet with cards, board games and more. Our library includes books about the island and novels. 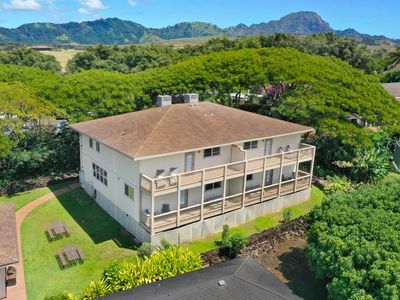 All in all, you will find this spacious, sunny townhouse the perfect launching pad for your exploration and enjoyment of beautiful Kauai as well as a welcoming, and comfortable place to watch the sunset after your Hawaiian day of fun and exploration. 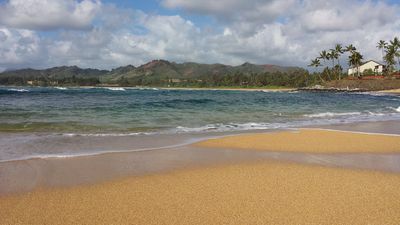 Sandy Beach across the street. 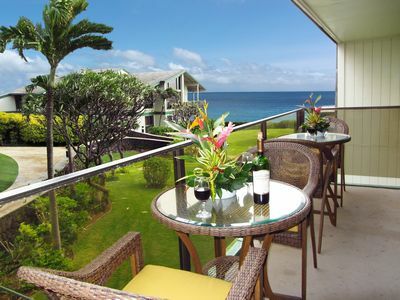 Sleep14+ Steps from POIPU beach. 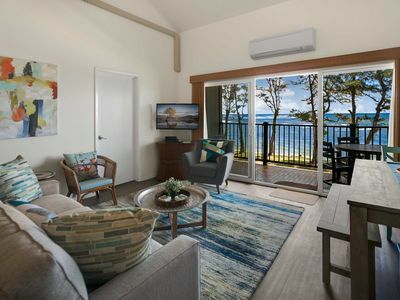 Central AC, BEST VALUE in POIPU! 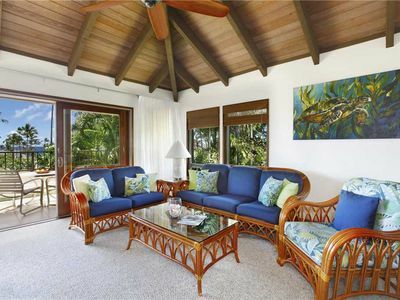 Incredible 3BR/3BA Villa: Central A/C! 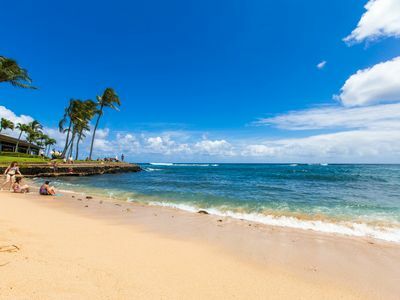 5 Minute Walk To Beach! Very Quiet! 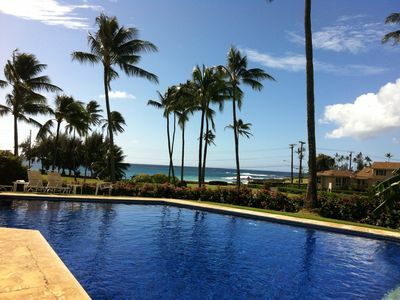 Poipu Sands at Poipu Kai #316: Great location and nice ocean views! 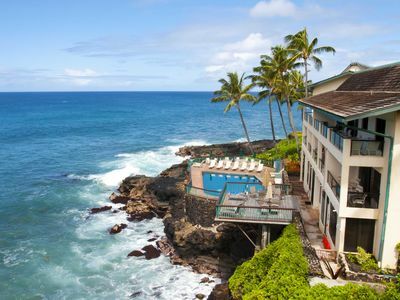 Oceanfront Resort Condo w/ A/C in Old Town Kapa’a! NEW! 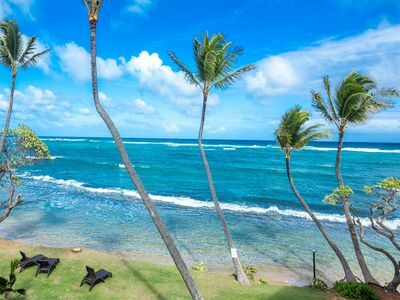 Breezy Kauai Studio w/Pool - Walk to Beach!